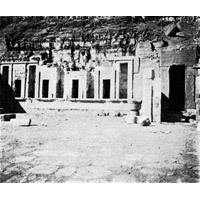 Abydos: Le Temple de Séti Ier,Jean Capart, 1912. The volume was inspired by a conference held at the Musée Guimet in Paris on March 5, 1911, and Jean Capart acknowledges the permission of that Museum to publish his essay (which was his 1911 conference paper), and dedicates the volume to John Garstang. The book was published with no copyright notices and hence entered the public domain at the date of publication. There is no indication in the volume of the name of the photographer who took the photographs. 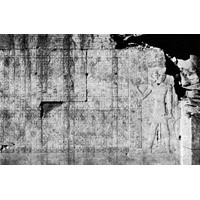 The only illustration which is credited is an anonymous redrawing of the plan of the temple from that published in The Temple of the Kings at Abydos (Seti I.) by A. St. G. Caulfeild, London, 1902. Plate 9. Pharaoh Seti I. 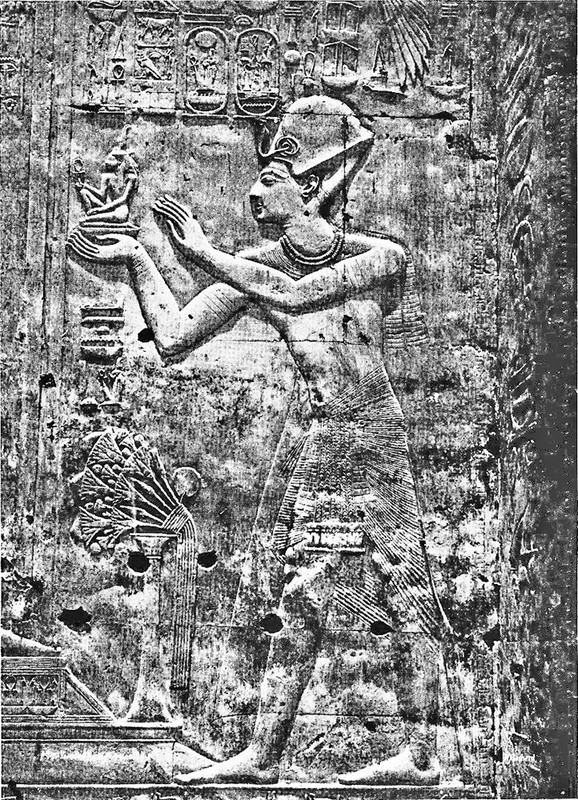 Detail from one of the walls of the temple. In the copy of the Brussels book in the Foundation’s reference library, an unknown French-speaking person who previously owned the book has written by hand various identifying names on the plan, to help identify the different rooms and chambers. 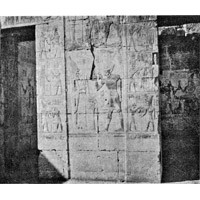 Six of the seven small chapels (all but that of Isis) have the names of their dedicatees written into them, the Hall of Barques is identified by its name, two further chapels and a dedicatory hall to Ptah-Sokaris are identified by their names. 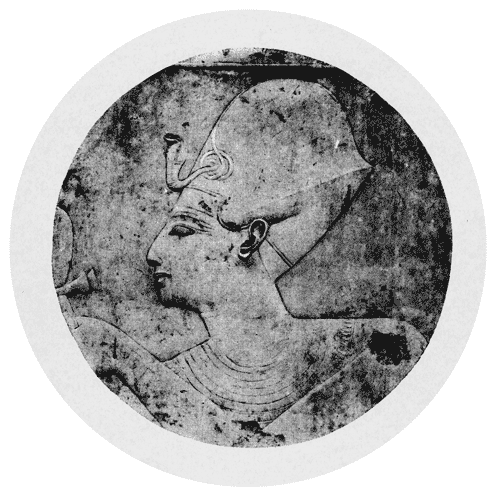 These pencil annotations may be seen on the plan as reproduced in the final figure. No ownership inscription appears in the book. It is possible that the Foundation may translate Capart’s introductory text into English and post that online in the future. 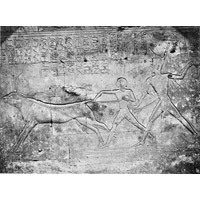 The illustrations which follow all appeared without accompanying text, only with the briefest of captions. 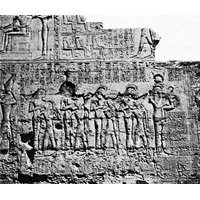 The first seven are labelled as Figures 1-7 in the book and appear within Capart’s introductory text as small illustrations. 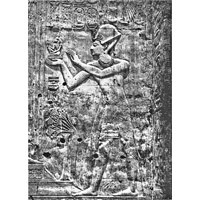 Then follows an unnumbered portrait of the head of King Seti I in profile, with no identifying caption. 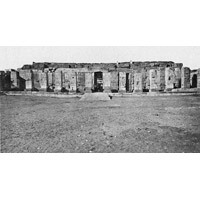 The remaining illustrations are all full page in size (with no pagination given) and are labelled as Planches (Plates), numbered 1-50 in the book, followed by the final illustration at the back, which is unnumbered, and is the plan of the temple. 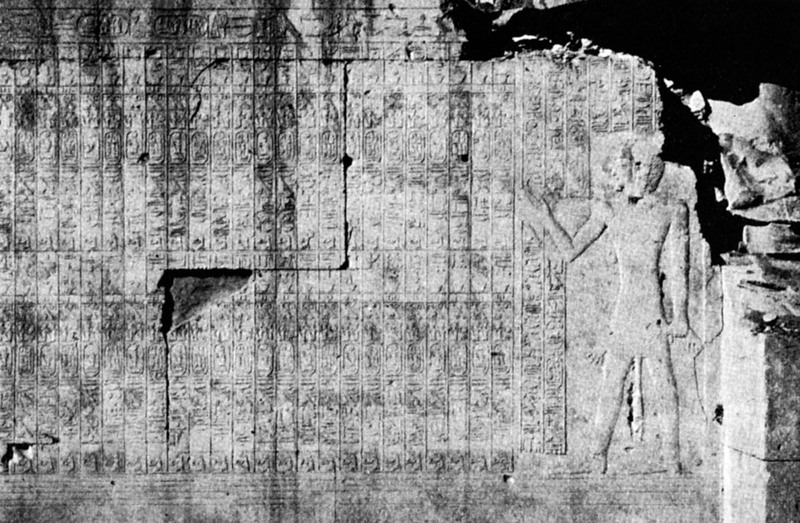 For the purposes of this publication online, a consecutive numbering has been adopted, which ignores the difference between a ‘Figure’ and a ‘Planche’. All illustrations have been scanned in high resolution. 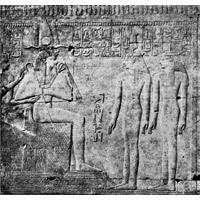 They appear here numbered 1 to 59, with ‘Plate 1’ constituting Number 9, ‘Plate 50’ constituting Number 58, and the temple plan as the final illustration numbered here 59. Plate 1. 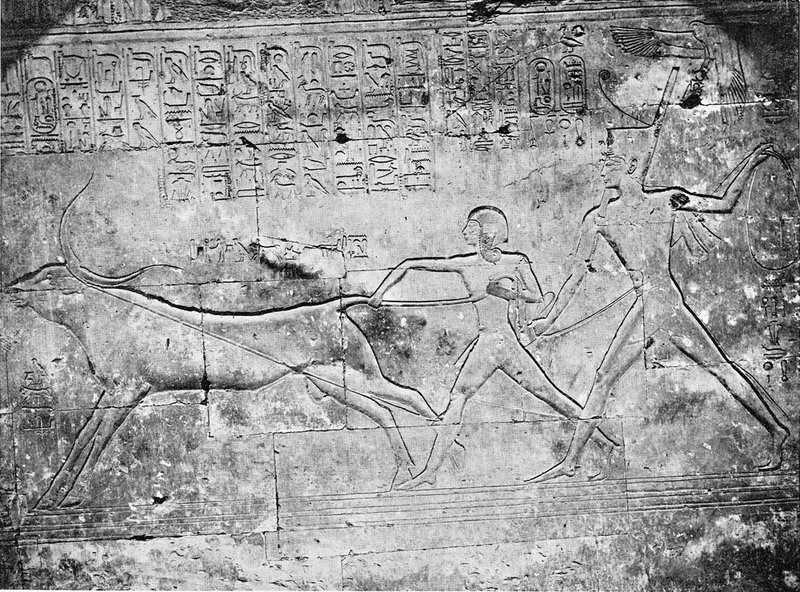 Rameses II suckled by the goddesses. 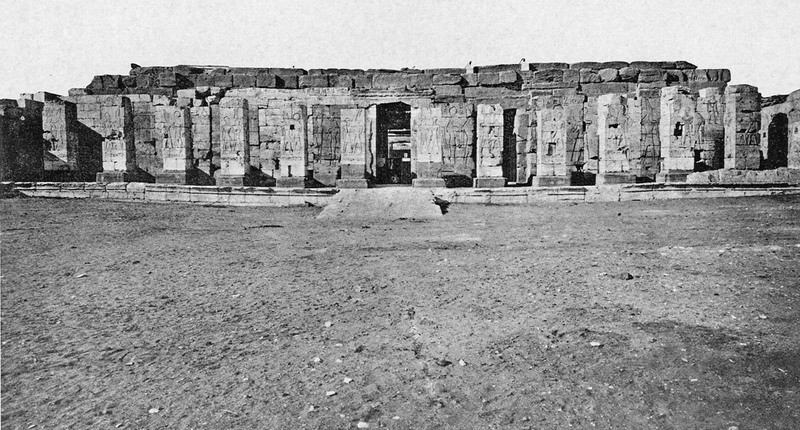 First Hypostyle Hall, south wall. Plate 2. 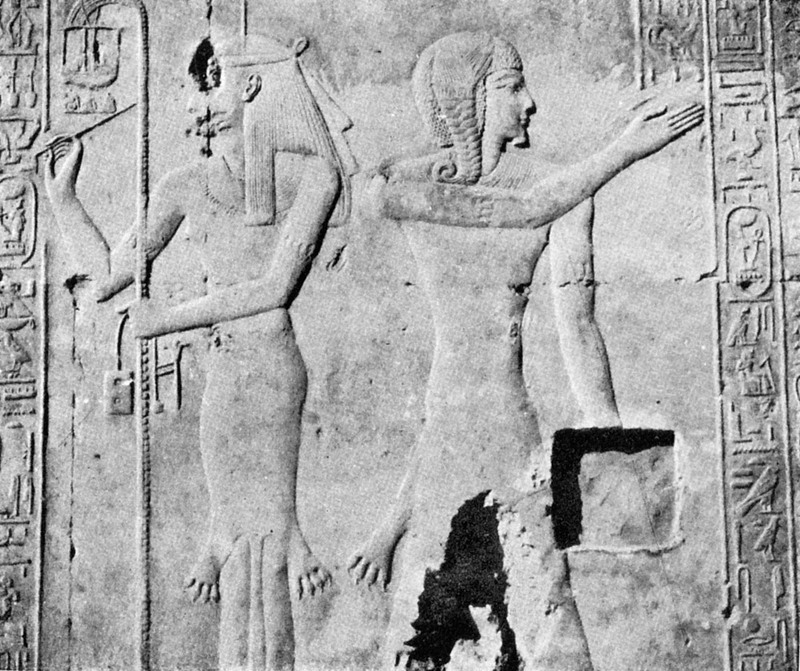 Osiris and the goddesses (from Mariette). 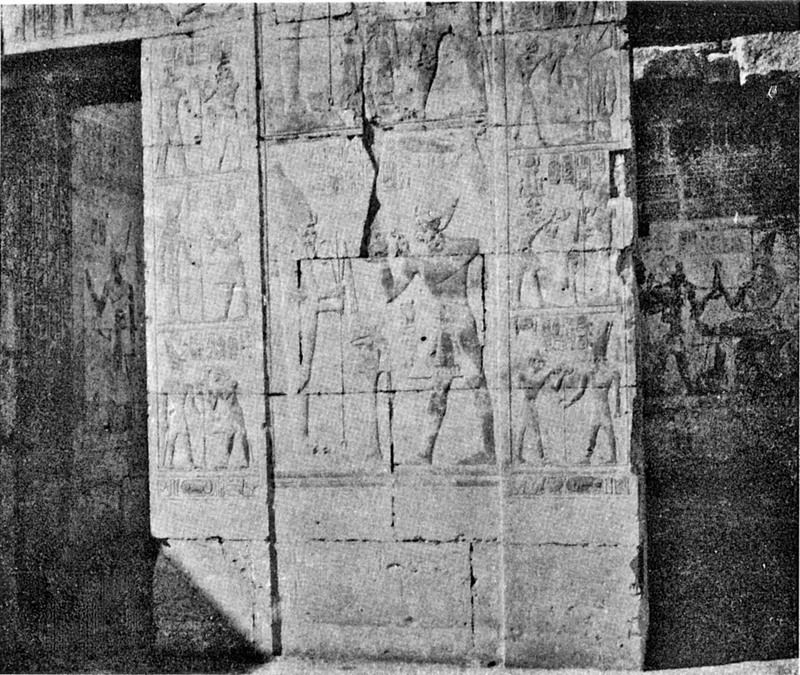 Second Hypostyle Hall north wall. 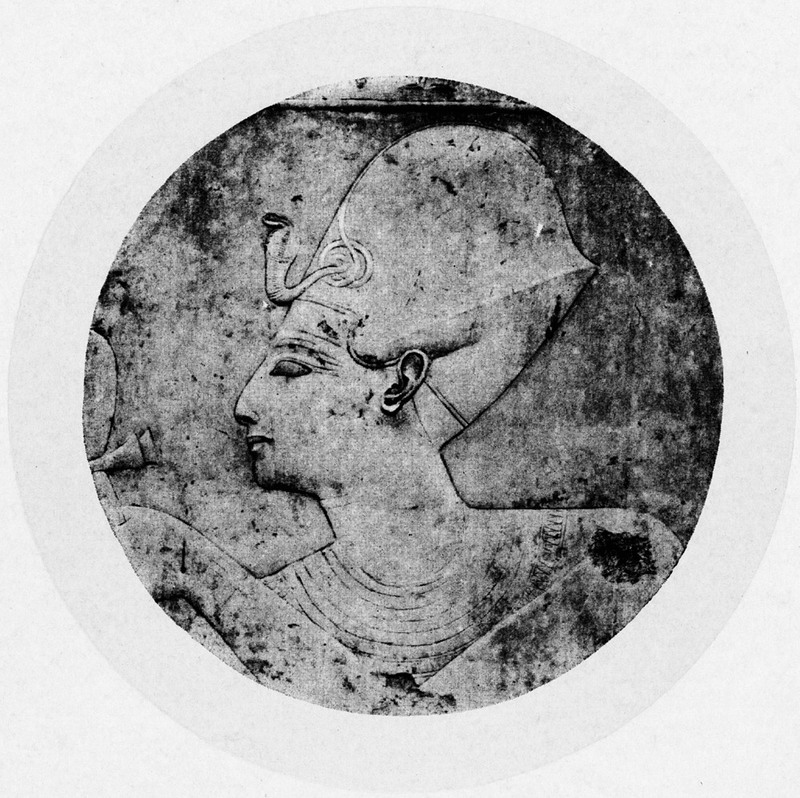 Plate 3. 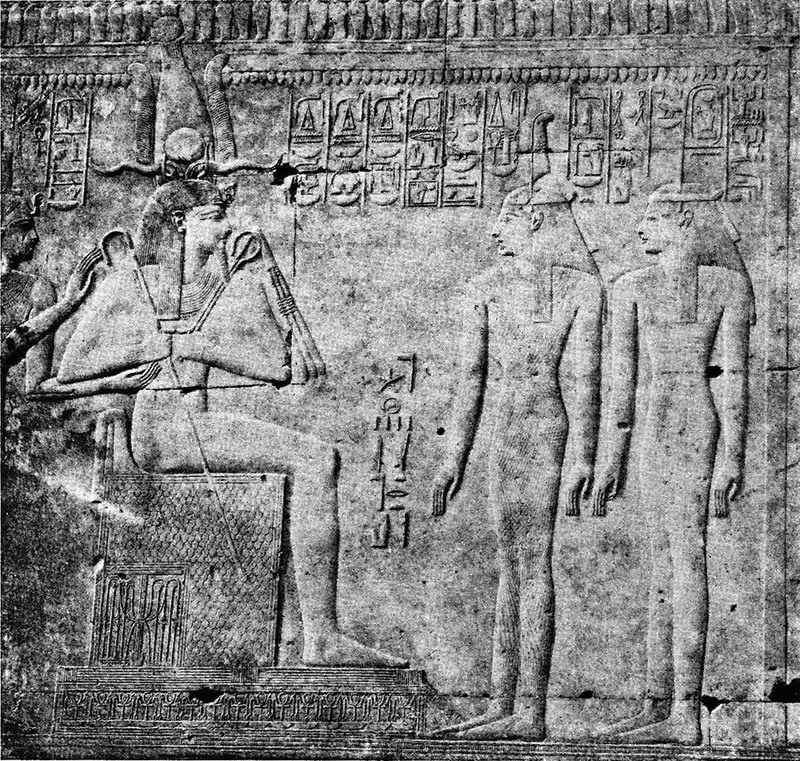 Seti I offering the Truth [Maāt] to Osiris (from a photo by Henry Béchard). 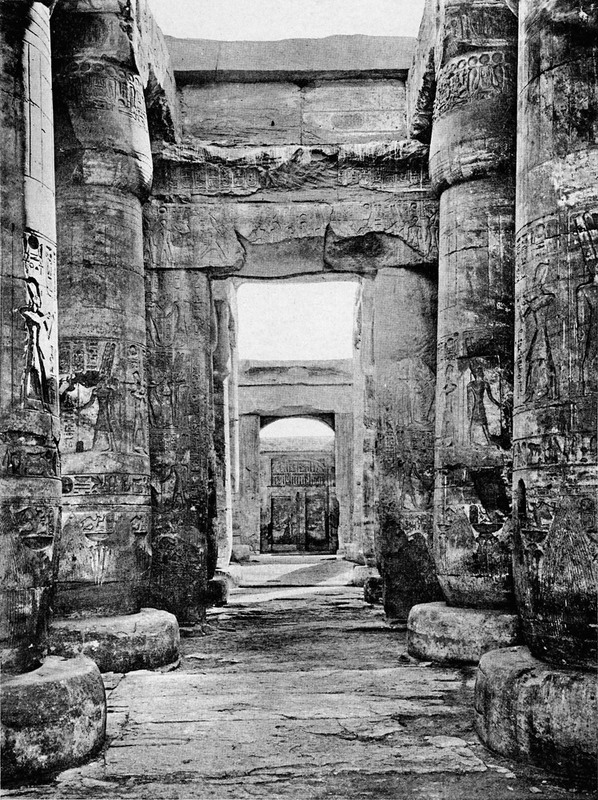 Second Hypostyle Hall, north wall. Plate 4. 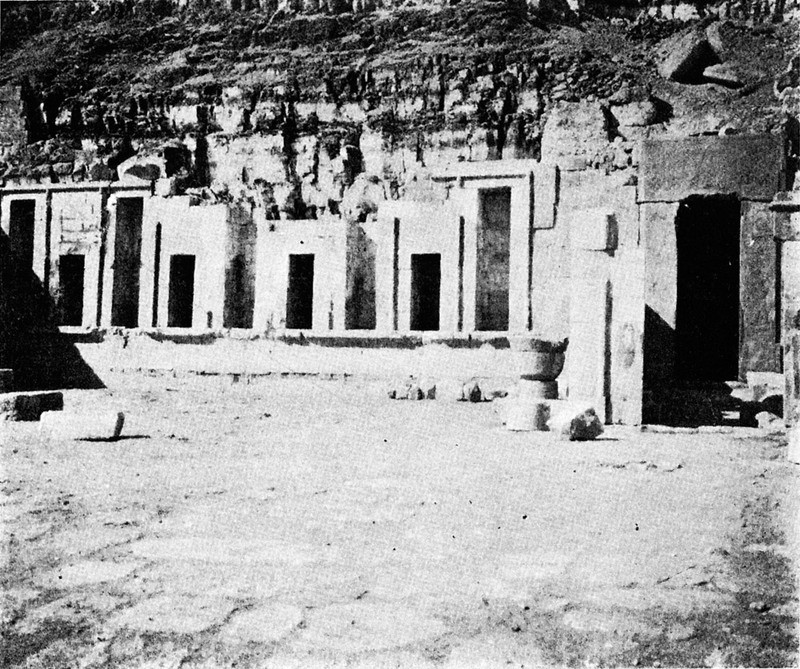 The niches of the Upper Terrace at the Temple of Deir el Bahari. Plate 5. 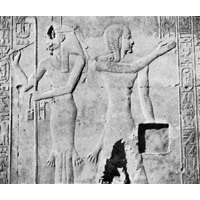 The priest Anmoutef and the goddess Sheshet. Sanctuary of the King, north wall. Plate 6. The priest Anmoutef reciting the list of offerings. Sanctuary of the King, north wall. Plate 7. 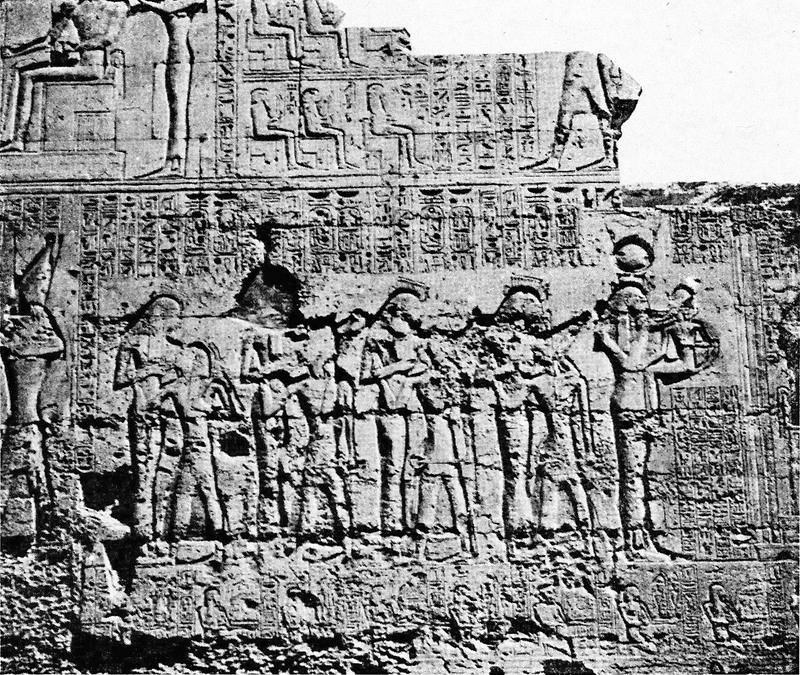 Scenes of adoration of Osirian divinities. Plate 10. The portico of the Second Court. In front of the First Hypostyle Hall.